Theoretically, an endless runner in a Dark Souls related universe could've been an intriguing thing. It sounded all right. Unfortunately, what we got is a game rife with imbalance, poor controls, and a clunky character all wrapped up in terrible art and sound design. A nice bug. Stuck playing behind a "You Died" screen- an apt metaphor for the game. The randomized levels leave the player at mercy of a clearly thoughtless setup nearly every time you restart- as traps are so close to each other in succession you almost always are forced to take damage. Jumping barely gets you over obstacles, weapons and spells damage is negligible, and every single thing ticks off the precious little life you are given to start with. This isn't a case of practiced skill and restraint in gaming tactics that is the foundation of the series. This is a downright abomination of those principles that made the series great in the first place. Adding to this series of compounding problems is the fact the game is riddled with bugs that cause it to crash frequently forcing you to restart the application. It just isn't worth the time. No amount of Estus flasks can bring new life to this hollowed game. No element of the Dark Souls legacy has been such a despicable enemy in the game as Slashy Souls is in itself. The torment it provides players is something Souls veterans should be used to, but this is so much worse than anything previously encountered in the series. Even my first battle with the Capra Demon in Lower Undead Burg was far less painful or frustrating than playing Slashy Souls. As a free-to-play title meant to build hype and gather pre-orders for Dark Souls 3, I feel like I should get a rebate for wasting my time playing it. Was it too much to ask that Bandai Namco to release something more like a small side-scrolling platform-adventure, or Marvel Future Fight instead of this embarrassment? There is nothing spectacular or even remotely notable with this tie-in to the Souls games that captured audiences attention and built an avid fandom over the last decade, and after years of From Software's wonderfully developed world, Slashy Souls' amateurish look and awful gameplay is a truly horrendous blight that only tarnishes the Souls namesake. 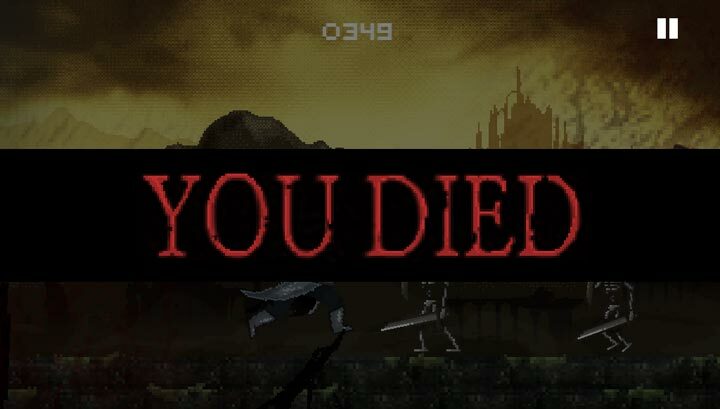 *I played Slashy Souls on an iPad Mini.